When a woman has a higher than normal risk of breast cancer she needs to have screening tests more often than other women. Canterbury DHB provides a local at-risk breast screening programme for these women. at-risk women younger than 45 or older than 69 (the ages covered by the national programme). had chest radiation therapy at a young age. There are several criteria that help decide if you are eligible for extra screening. If you are, you will have a personalised programme for extra screening mammograms based on your level of risk. If you think you may be eligible for extra mammography screening see your GP, who can discuss this with you and see if you meet the programme's criteria. If you don't qualify for the local at-risk breast cancer screening programme but would prefer to be screened every year, you may choose to pay for a private mammogram in the years between your two-yearly funded mammograms. Your GP can write you a private referral. 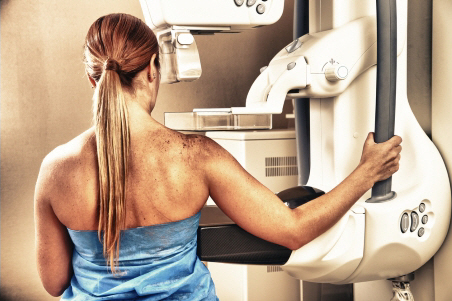 If a screening mammogram finds something that needs further investigation or treatment, your GP will arrange this. New Zealand health professionals do not recommend thermography for screening or assessing breast symptoms. Written by HealthInfo clinical advisers. Page created January 2017. New Zealand Breast Cancer Foundation – Position statement: The use of thermography as a breast cancer screening or diagnostic tool, retrieved January 2017.